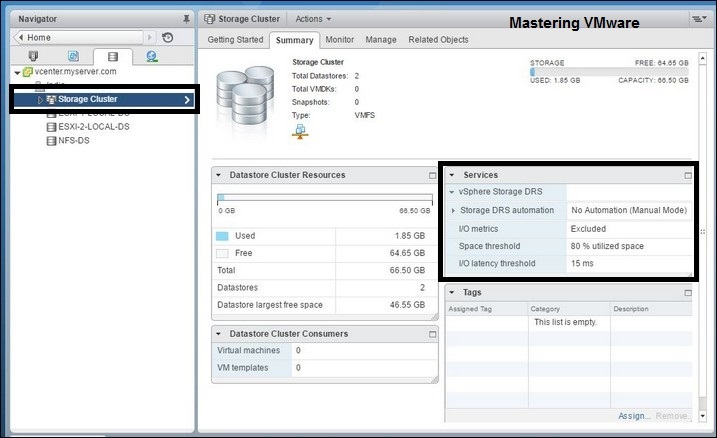 Host Profile is a vCenter Feature which is very useful when you have multiple hosts in your virtual infrastructure. 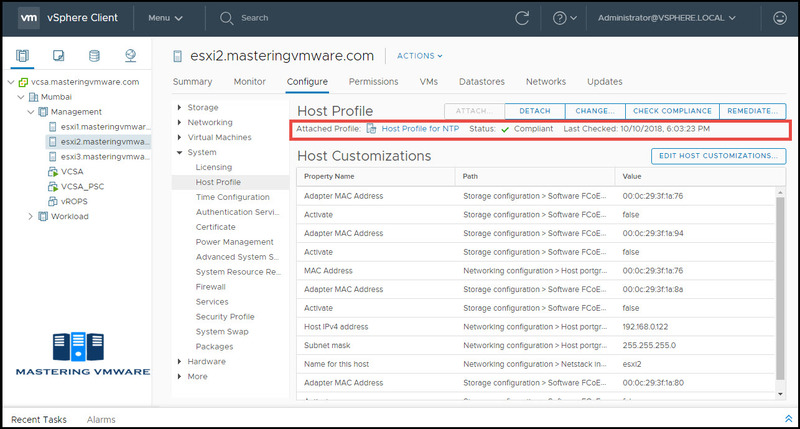 Host Profile allows you to configure a standard policy which can be applied to all the hosts to maintain similar consistent configuration across all. 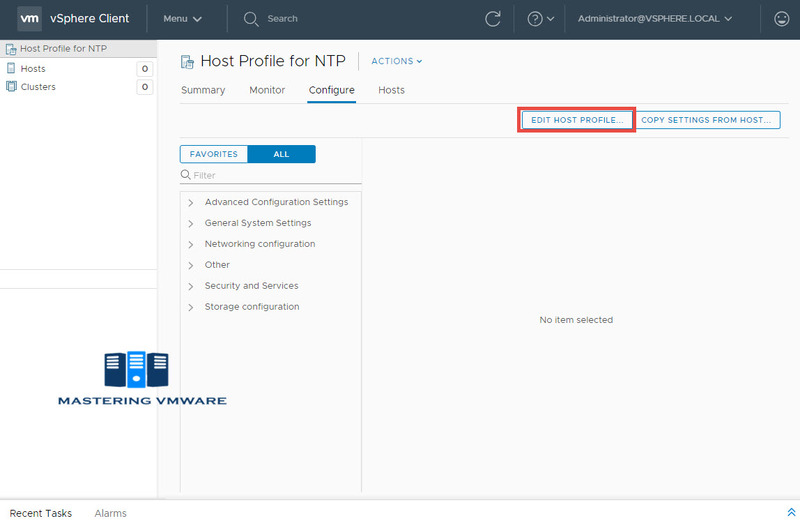 In this post we will see on How to Create and Configure Host Profile. 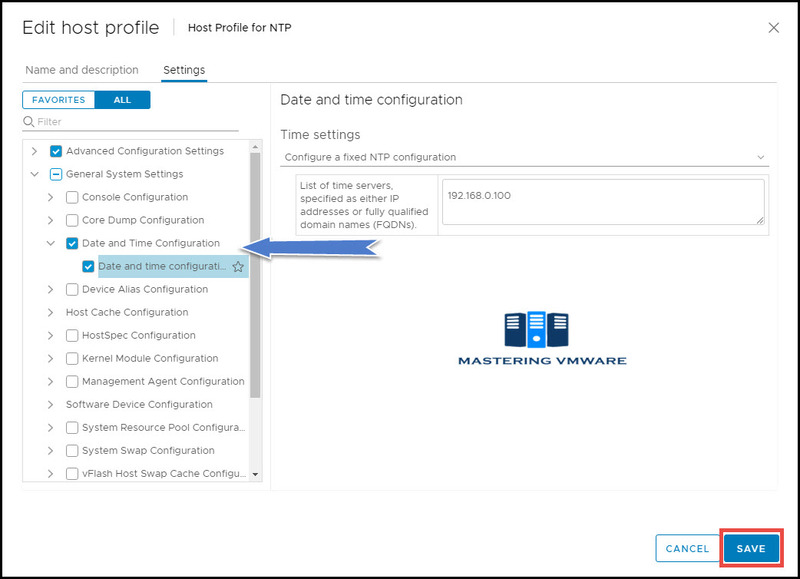 Host Profiles eliminates per-host, manual or UI-based host configuration and maintains configuration consistency and correctness across the datacenter by using Host Profiles policies. 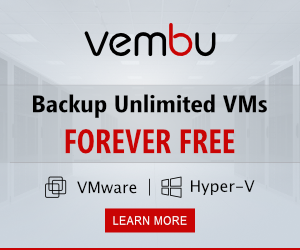 These policies capture the blueprint of a known, validated reference host configuration, including the networking, storage, security and other settings. 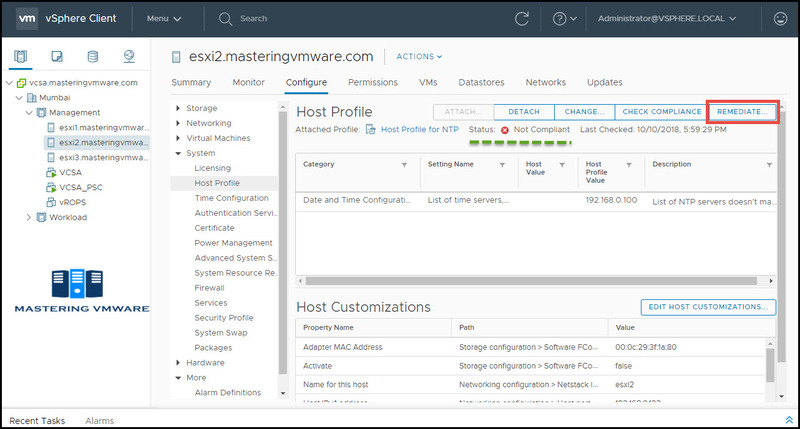 In this step we will create and configure a Host Profile from a reference host. 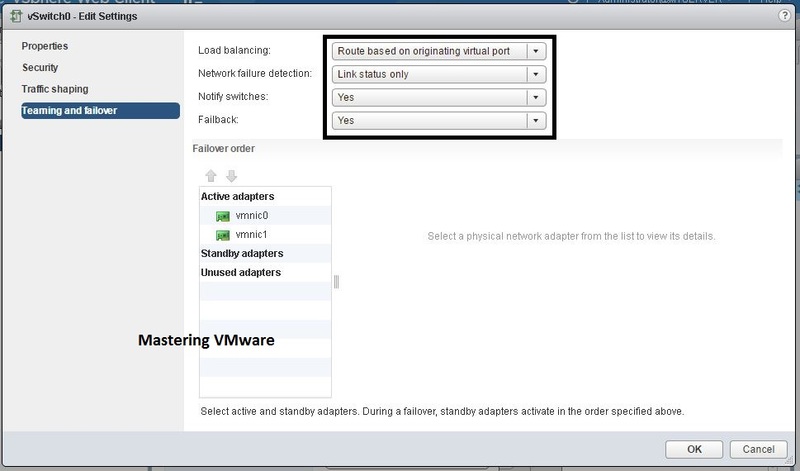 In this step we will attach host profile to the host so we can compare the configuration issues. In this step we will check for host compliance whether it is compliant or non-compliant against the host profile attached. 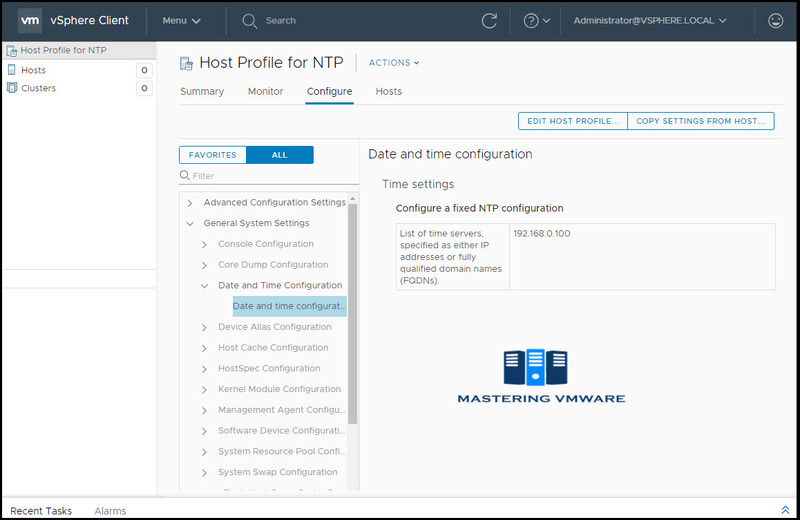 In this step we will Apply host profile to the hosts which are not compliant so that they can become compliant and consistent configuration across hosts can be maintained. 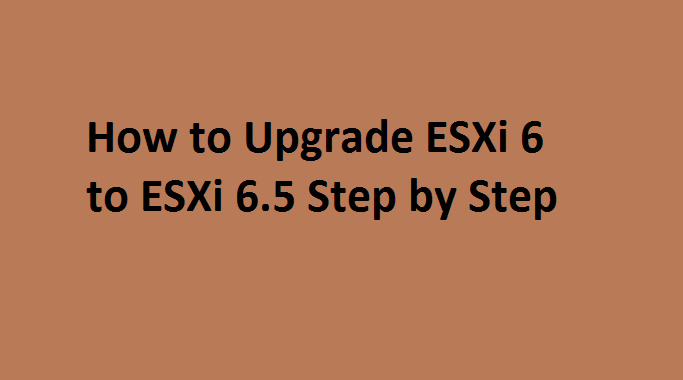 In this we will see on How to Create and Extract Host Profile. As you can see we don’t have any host profiles yet. 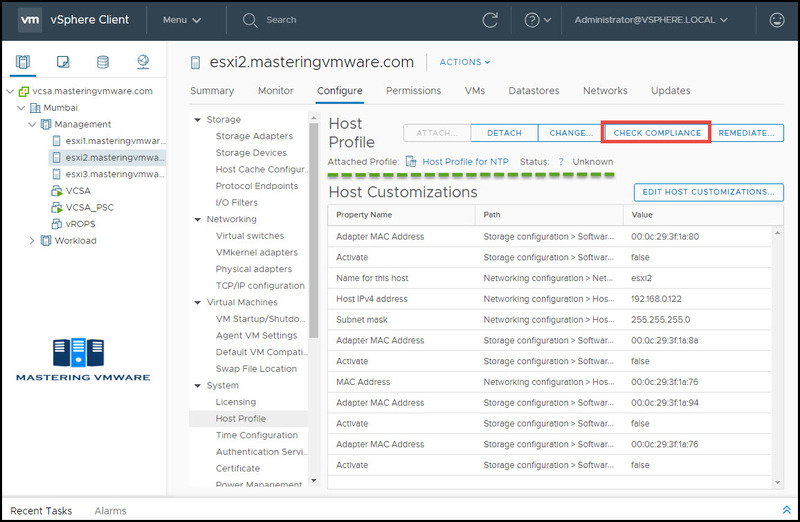 Select the Host from which you want to Extract Host Profile. Give a Name and Description for the Host Profile. 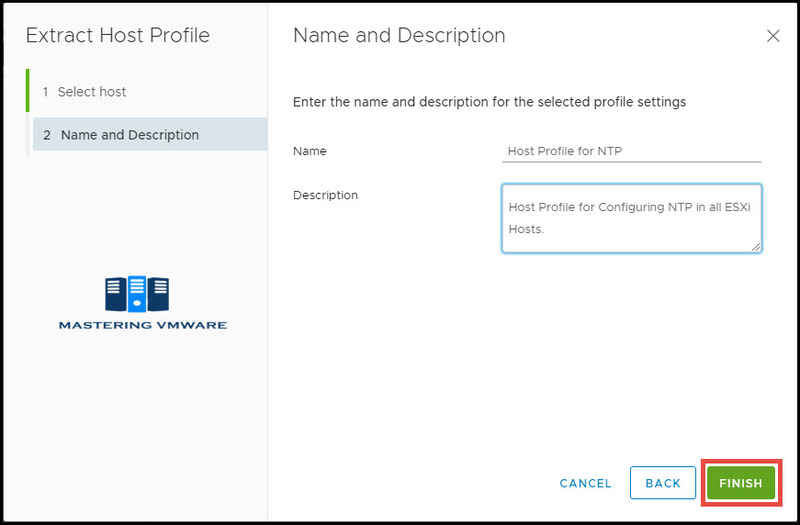 In this we will see and configure the host profile which configuration we want to use in the host profile. As you can see that Host profile is created and listed. Click on the Host Profile to configure. Here we will get all the options which we can use and configure in Host Profiles. Expand General System Settings > Date and Time Configuration. Select Date and Time Configuration here. 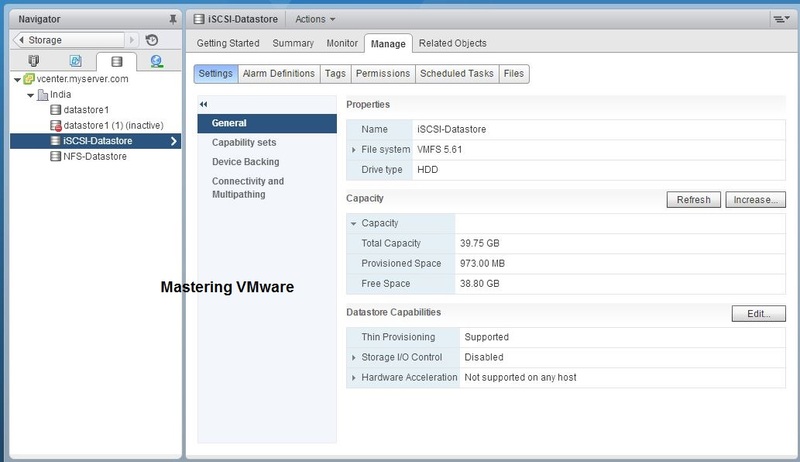 As you can see that Time configuration is configured properly and it is displayed. Now till the time we have successfully created and configured Host Profile. 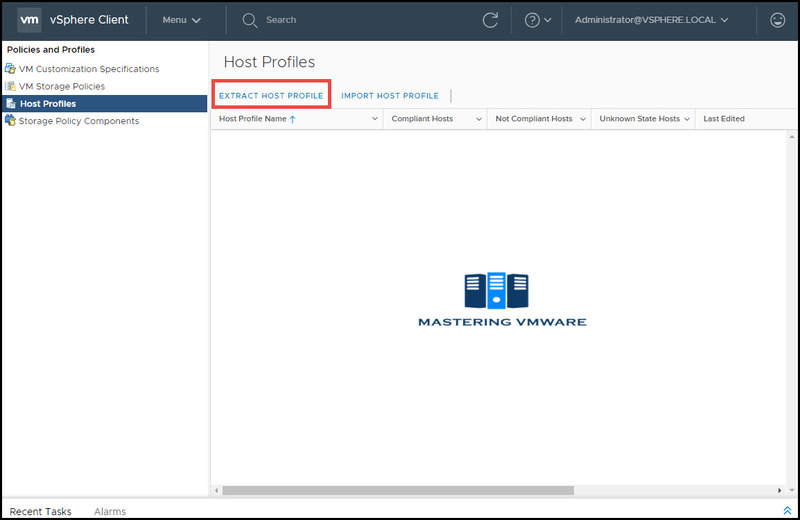 In this we will on How to Attach Host Profile, How to Check for Compliance and How to Remediate host. Select the Host on which you want to Apply Host Profile. Expand System and select Host Profile. As you can see here no Host Profile is currently attached or applied. 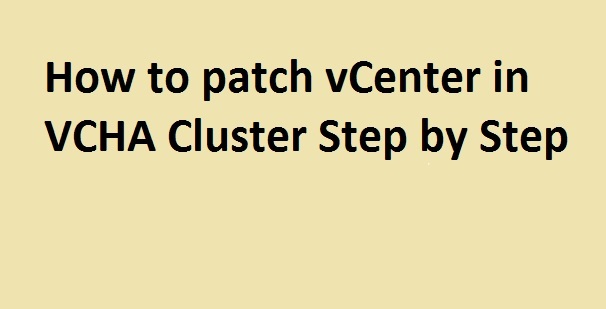 Click on Attach to attach host profile. Select the Host Profile which you had created. If you have multiple host profile then it will be listed here. 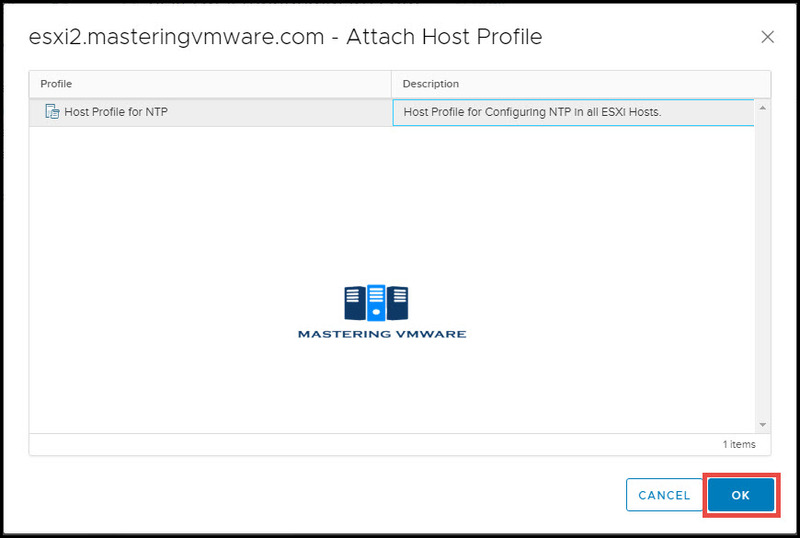 Select the Host Profile and Click OK to attach to the Host. As you can see Host Profile is attached to the Host. But it is showing as Unknown state. Now we have to check for Compliance w.r.t Host Profile. 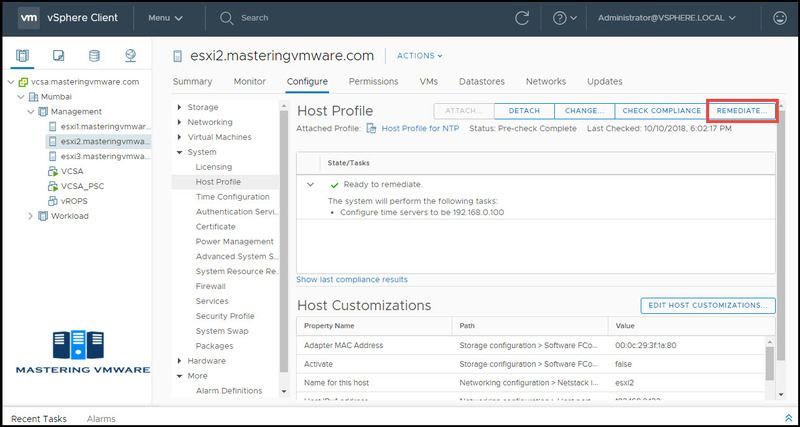 Host will be checked for the compliance against the Host Profile configuration. As you can see that we have host which is not compliance. 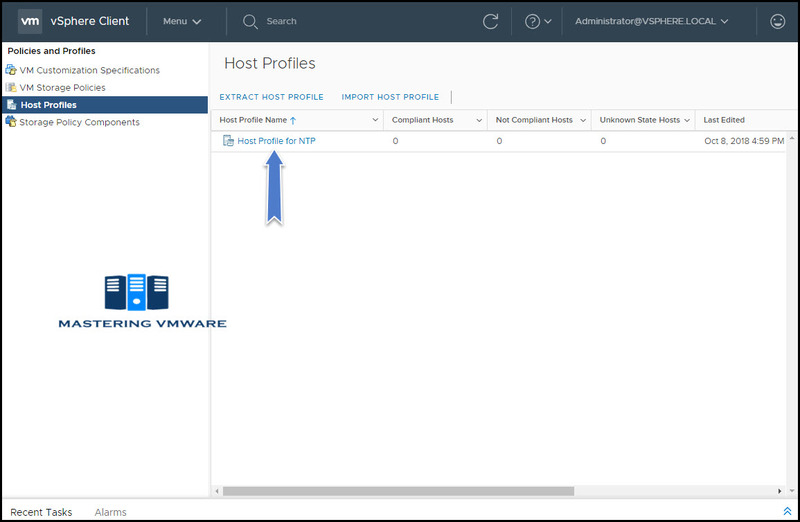 Now to make host compliant we have to Remediate the host with the Host Profile. You will get Remediate Prompt. We can check for Pre-Check Remediation so just to verify which changes will be done on the host after remediation. 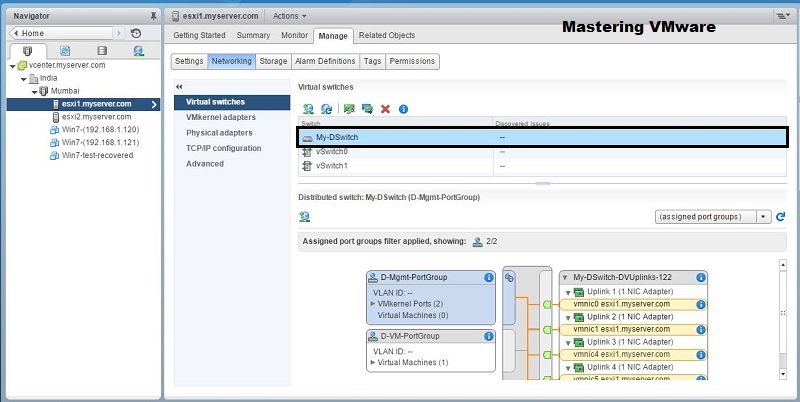 You can see the tasks which will be performed when you remediate the host. Now we are ready to Remediate the host. Click on Remediate to start remediation on the host. You can see there is check box which says Automatically reboot hosts that require remediation. So make sure you have Host in Maintenance mode or empty host. It will just take few seconds to complete the Remediation process. Once the Remediation process is completed. You can verify Host is compliant now. 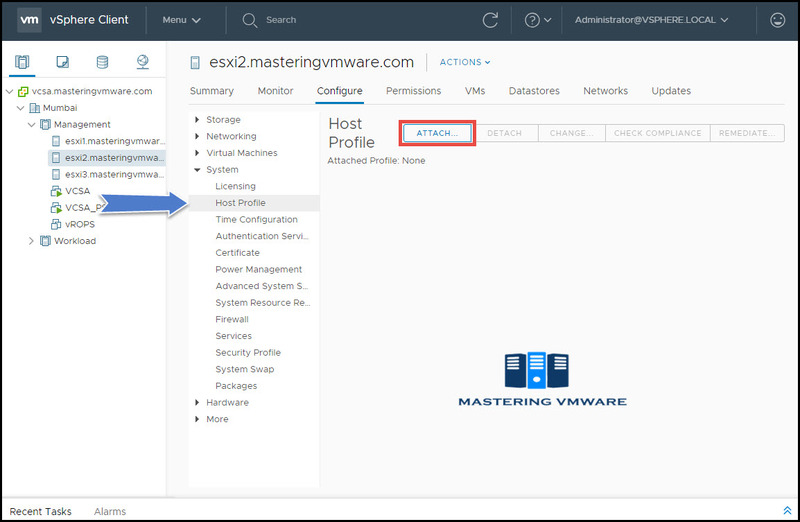 That’s it, Using this way you can easily create and configure host profile first then check for compliance then remediate with the host profile which created. You can run Host profile on multiple hosts as well. 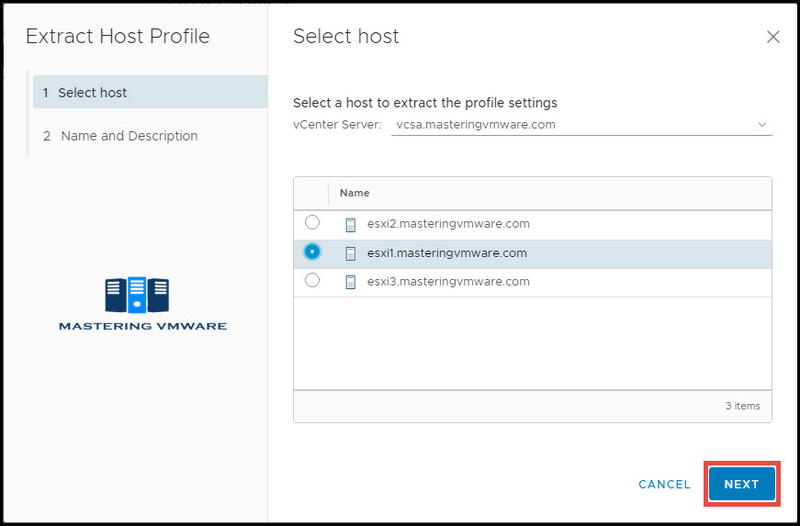 Based on your environment you can create and configure different host profiles from various available options and maintain consistent configuration across all the hosts. 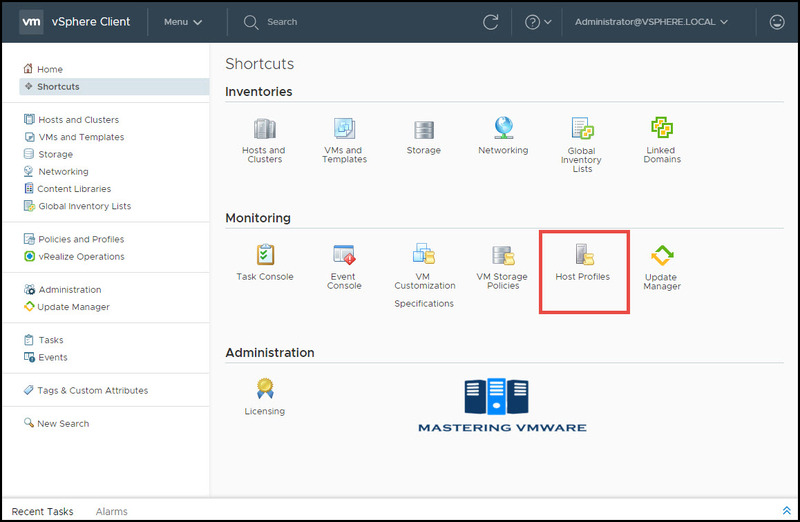 Note: We have used vSphere 6.7 for Host Profile, If you are using Older version then there might be little navigation changes. 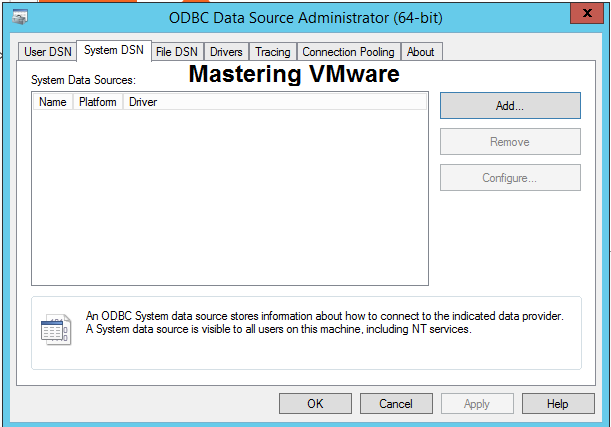 How to Increase datastore size ?